The much-needed rain last week has given way to lovely weather. 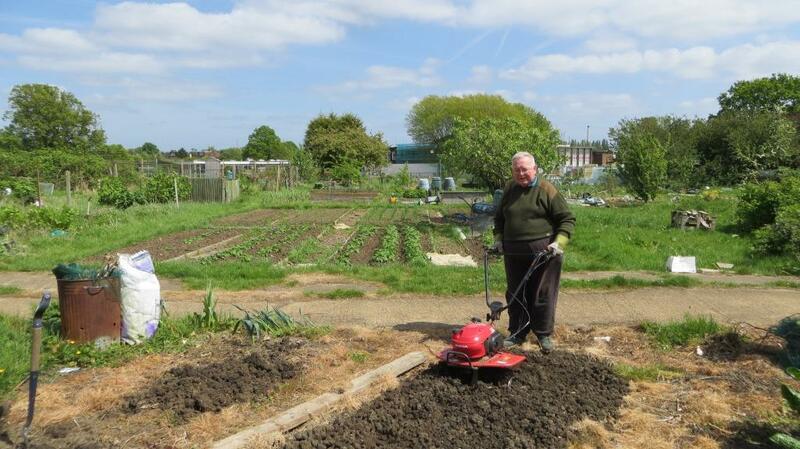 We’re doing the final preparation of some of the beds, and the tiller has been in use not only for ourselves, but some of our neighbours too. We’re getting loads of rhubarb: our first glut of the year in fact if you don’t count the eggs. Not everyone likes rhubarb, but enough of our friends enjoy it so as to make it worthwhile to grow. Plus, of course, we’re very fond of it ourselves. It’s been slightly sad to watch the crows and magpies devouring nestlings from the songbird nests in the blackberry patches that dot the allotment site. Every so often there’s been a clamour of alarm calls, and a crow has emerged with another snack in its beak. Every amateur conservationist that I’ve ever met has assured me that corvids do little or no damage to the songbird population, so what we’ve seen today must be exceptional. Suddenly, the allotment has sprung to life. 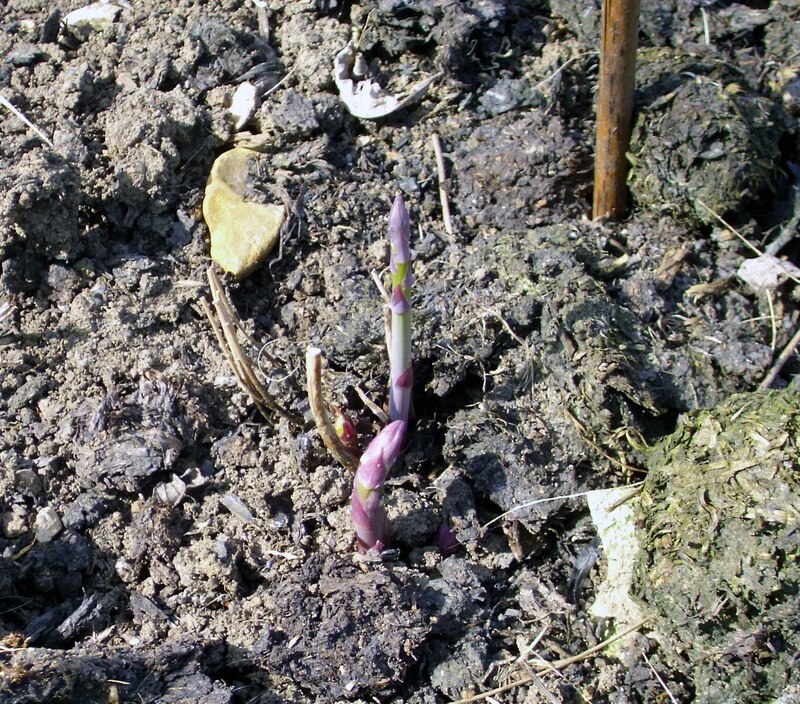 We’ve waited two years for this, but 2012 may just be the year of the first asparagus crop!